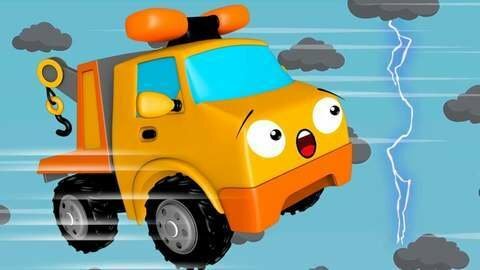 Little viewers shouldn't miss the new car cartoon for kids about the Yellow Tow Truck, which was struck by lightning. A fun car will acquire unusual abilities. For example, the ability to revive Monster Truck's vacuum cleaner and machine with drinks for Excavator. Find out how it will end by watching the best cartoon for kids online for free!